It is time to take stock, give your life a reality check and maybe write a new 5-year plan. You thought you were well channelled and now your company's gone bust, your up to your eyes in debt and the house is worth nothing. You got a masters degree but your mate with the plumbing apprenticeship is earning more than you. 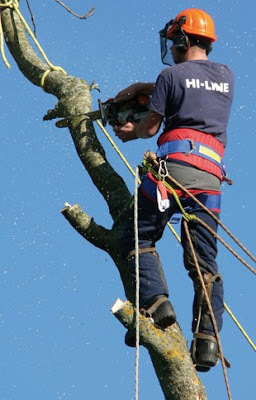 You want to pack it all in and retrain as a tree surgeon. Maybe you become one of the 250,000 mainly middle class Londoners who have left the capital for a quieter life in the country. Alternatively you dream about all that while watching A New Life in Italy or The River Cottage you may even sign up for a life course at something like The School of Life. quite depressing, but yes. The fantasy of walking away is so alluring at the moment. When all conventions are failing us (going to uni to get a career to earn loads of money and have loads of security...) and the future seems bleak (more terrorism, more economic crisis, more crime), why not redefine the rules? It's like retreating and rebellling at the same time. This is so true. Having just graduated, the knowledge my degree wasn't as worthwhile as I was always told it would be is proving hard to come to terms with so I do tend to spend a lot of time coming up with far fetched ideas for my future. Many of my friends have found that securing that first job just isn't satisfying enough and have relocated to other countries (Australia, China, Vietnam and Czech Republic to date).